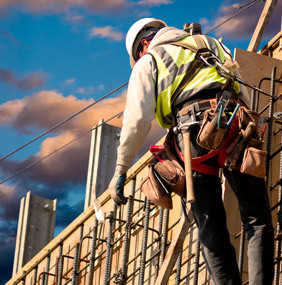 Our aim is to provide competent, reliable skilled operatives for Construction projects, in an efficient, cost effective way that ensures our clients get the service they expect. Making LCM your number one choice for recruitment agency services. Founded in 1996 by Lee Craig and based on the Isle of Wight, the Group has grown in strength to provide its services across the UK, making it the top choice for many large companies wishing to use qualified, skilled workers at very competitive rates. With Lee's lifetime of expertise in the construction industry and his qualifications, skills and experience in construction site management, ensures that the client's requirements are tailored to their exact needs. A successful, highly professional recruitment agency specialising in labour supply to the Construction, Industrial, Plant and Machinery sectors that puts reliability, responsiveness and efficiency at the heart of its services, providing skilled competent operatives at competitive prices. We have extensive experience and expertise in all aspects of groundworks from highways, drainage and sewers to foundations, sub-structure and landscaping. We work with many repeat clients in the utilities sector and the highways infrastructure and maintenance. We endeavour to get the highest quality of product, service and value from our supply chain, enabling our skilled staff to construct the project to the highest possible standard. His tradesmen have been of the highest quality. Groundworkers and skilled labourers have the pre-requisite knowledge and are competitively priced. I would have no hesitation in using LCM on any future projects, in the full knowledge that I would receive 100% satisfaction. When I work for LCM its like being part of the family, very welcoming, friendly company. The sites are always well run, very safety conscious and we are always paid on time. We are appreciative of your efforts through a bad winter and against a lot of adversity when work proceeded. The dedication shown reflects great credit on your company.